Every engineering company’s dream is to have the opportunity to work on mega structures of the world and what better than the Golden Gate Bridge. 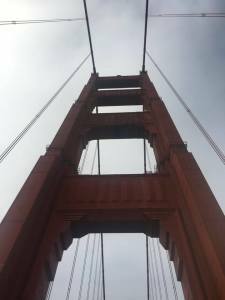 Our team at Zenith Engineers Inc is proud to be a small but important part of the future repair design work for the Golden Gate Bridge. Due to the ongoing work and confidentiality of the project, more details about the scope cant be shared on public platform.